Kick the Dust is a 3 year youth-led heritage project seeking to expose the legacy of colonialism in our heritage structures so that they better represent the communities they should serve. 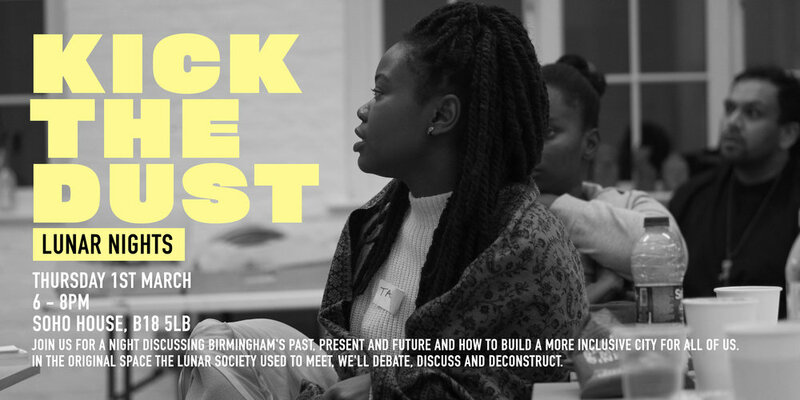 Join us for a night discussing Birmingham's past, present and future and how to build a more inclusive city for all of us. In the original space the Lunar Society used to meet, we'll debate, discuss and deconstruct. Let us know if we can help you to attend the session in any way. Contact Tony@beatfreeks.com with any questions.